This article was originally published on Benzinga. You never forget your first or your best. Right? 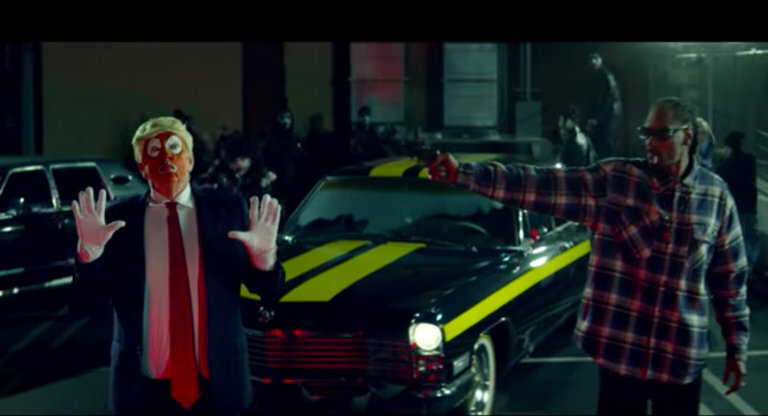 A satirical music video featuring the rapper Snoop Dogg and a clown called Ronald Klump is the latest piece of pop culture drawing the attention and ire of President Trump. On Wednesday, in yet another of his trademark early morning Twitter bursts, the president took the extraordinary step of invoking “jail time!” in response to the clip, which depicts Snoop Dogg pointing a toy pistol toward the Klump character. When the rapper pulls the trigger, a sign that says “bang” drops from the barrel in the style of classic prank guns; Klump is later shown in chains. Best known for his quick wit and sharp rejoinders on the beloved improv-driven television show Who’s Line is It Anyway?, comedian Greg Proops lately stakes his claim to being the thinking man’s comic on his popular The Smartest Podcast in the World and as a headlining stand-up act. Long a devoted cannabis enthusiast, and well known among his fellow comedians for always (allegedly) carrying incredibly strong joints to share (the secret is he sprinkles hash on them! ), Proops even included a short history of marijuana in his new tome, The Smartest Book in the World. On a national tour to promote its release in paperback, Proops recently shared a smoke and a few laughs with us on the way to his next public appearance. So we asked if he gets a lot of herbal gifts while on the road, and who’s got the best stuff. Former NBA player Stephen Jackson used marijuana before hitting the court throughout his career, and at least one of his coaches was well aware. The admission came during an appearance on the I Am Rapaport podcast. Rapper/marijuana mogul Berner has hired Daniel Ragussis, writer/director of “Imperium,” to direct the upcoming crime thriller “Packs” about the rise of “designer” marijuana, Variety has learned exclusively. Francisco Ordoñez will write the screenplay based on a story by Berner, also known as Gilbert Milam, Jr. Berner will be financing the development and production of the film through his company, Bigger Business Entertainment. The film tells the story of the rise of powerful designer marijuana across state lines in a multi-million dollar illegal drug trade that transformed the marijuana experience in America during the past decade. Berner become a marijuana industry entrepreneur with his own medical marijuana dispensaries such as Cookies SF, Collective Efforts, and H2C Cookies 707.